Kitchener (Kip) Harding and Mona Lisa Montoya were high school sweethearts in San Jose, California. Kip asked Mona Lisa to the prom and proposed a few weeks later. 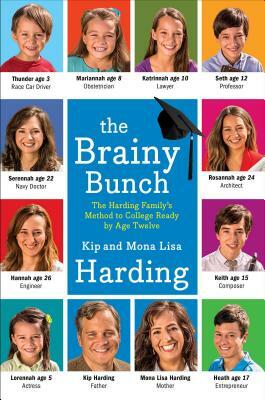 After four kids, they decided to turn to homeschooling, and their success paved the way for their children to start college by the age of twelve and go on to great careers in medicine, engineering, architecture, and more. They have been interviewed on CNN, the Today show, and Fox and Friends; featured in The Daily Mail; and covered in several prominent magazines. They live in Montgomery, Alabama, with their ten children.